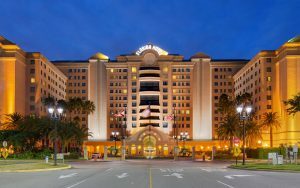 The Florida NOW State Conference will be held at the beautiful Florida Hotel and Conference Center, in Orlando. The hotel is adjacent to the Florida Mall, so there Are close-at-hand shopping and food options. The hotel has provided this unique link for NOW members to receive the special rate of $119 for a double room including free reserved parking, free Wi-Fi, waived $19 resort fee, 2 bottles of water daily, 24-hour access to Business and Fitness centers. The hotel is adjacent to the Florida Mall and is very convenient for inexpensive meals as well as a Starbucks directly off the hotel lobby. Or call reservations at 800-588-4656 and indicate you are attending the NOW conference. Please make your hotel reservations as soon as possible! This hotel can be very popular and will sell out. We can guarantee the rate but only as long as they have rooms available.